A fascinating book about a teacher who manages to get her students to regularly read forty books within the school year and how she manages to do it. 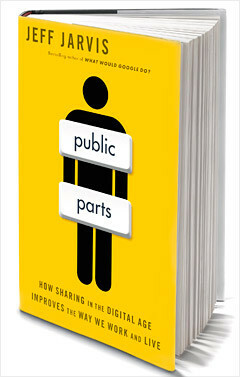 I talked this book on this blog. It’s a great one for thinking differently about communicating the details of your syllabus. The following books paint a very challenging picture about the future of education. There are some great ideas offered (particular with regards to the Finnish model of education) but that requires a whole lot of effort and revamping of our schools. These books are engaged in the same conversation about the ways in which social media and the wealth of information about us on the internet can impact us. They all provide different approaches and advocate different ways of grappling with the same issues. These books offer creative insight in to what to do with and how to use social media and the internet for different purposes. Each one shows the ways in which these can be used for good, bad, and irrelevant purposes. Both of these books look at the ways in which these could networked knowledge could (and has) fundamentally changed how and what we do in the future (and both left me with a desire to learn programming). Two books I think we all need to read and have a long conversation about with regards to how we move through the world. The Gifts of Imperfection: Let Go of Who You Think You're Supposed to Be and Embrace Who You Are by Brené Brown. 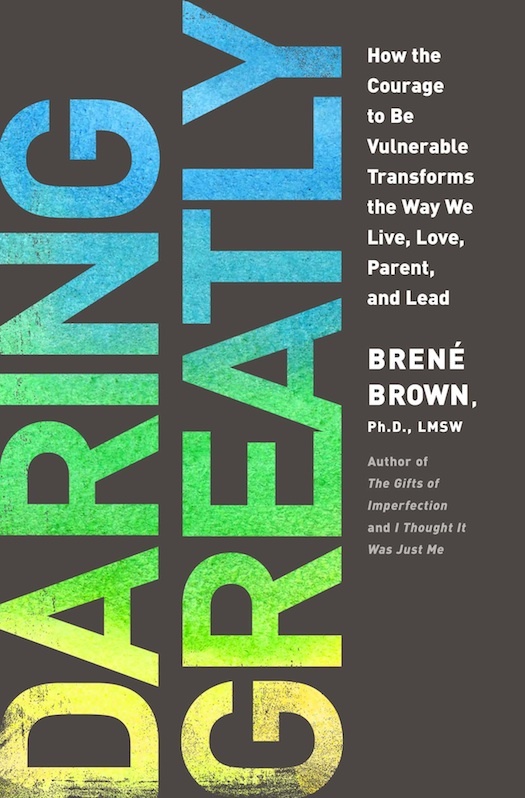 Daring Greatly: How the Courage to Be Vulnerable Transforms the Way We Live, Love, Parent, and Lead by by Brené Brown. Three books that would be enough for anyone to think differently about the way things are today. That’s not to say they are anti-capitalistic, but they identify some of the challenges with capitalism that we never seem to talk about (or address). Economix: How and Why Our Economy Works (and Doesn't Work), in Words and Pictures by Michael Goodwin and Dan E. Burr; check out the interviews with Goodwin and Burr. Learning about the instability of knowledge and why that is. An interesting look at the ways in which Texas has shaped elements of our country in the last fifty years. 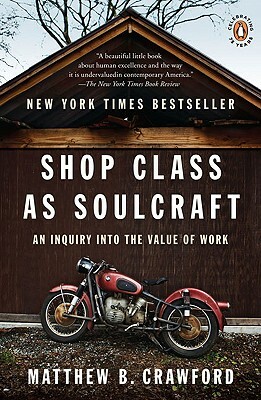 A book that makes me want to do more things in the physical world (like gardening, crafting, etc). A great textbook for my course on Popular Culture. It does really well with explaining and illustrating hard concepts. A book I’ve talked about before on this blog. A good book with some solid thoughts on writing. A good reminder to be in the moment and to balance the internal state of mind and external state of awareness. A solid book about the nature of running by focusing on some of the mast amazing runners on Earth. The Modern Scholar: Tolkien and the West: Recovering the Lost Tradition of Europe by Michael Drout. His Modern Scholar material is awesome and highly enjoyable. He’s quirky and knowledgeable about the literature he speaks of but makes it extremely accessible. Every time I listen to one of his lecture series, it makes me want to go out and read (or re-read) everything he talked about. Enjoyable and interesting, the book is not entirely different from the movie(s), but it’s interesting that the elements of the Wahlberg version of were more closely accurate to the book than the Heston film. A book that strikes close to my heart with my teenage experience. I clearly need to read more Herbert; he’s fun to read for horror. The book had its funny moments and was truly in the tradition of Hitchhiker’s Guide to the Galaxy. A metafictional spoof on Star Trek and highly enjoyable. The end of an awesome series by Brian Wood. Sad to see it end, but it was a great ending. I’m likely to follow Wood as much as I follow Jeff Lemire (which is to say, read everything he has!). 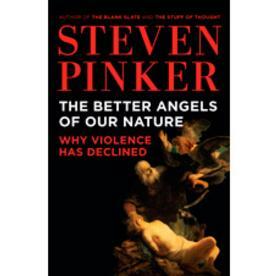 I’ve talked about Pinker before on this blog. This massive but accessible text is an essential book for anyone who wants to better understand the world at large and move into a mental space that is much saner than what the daily news delivers. Check out his Ted Talk that's a summary of many of his points: TheSurprising Decline of Violence. WORST BOOK OF THE YEAR: The Frankenstein Papers by Fred Saberhagen. Oh man! I enjoyed Saberhagen’s approach with Dracula in The Dracula Tapes, but this was an extreme let down in all manner of speaking. The book’s end destroyed the journey. Nuff said! Thanks for your insightful commentary on this year's best (and worst). To the best I would add the novel by Kevin Powers, _The Yellow Birds_. Absorbing story of an Iraq vet trying to deal with the death of a comrade on the battlefield. Powers served in Iraq and tells the story from an insider's point of view; his resentment at America's willingness to send people off to war and then ignore the destruction combat causes. I plan to assign it to my students. Hey Lance, one of my favorite books this year was "The Better Angels of Our Nature: Why Violence Has Declined" I could listen to/read that man for hours (as long I can remain past the hair). I KNOW! There's no better book to restore faith in humanity in the big picture methinks!